*New UK & Ireland customers only. Min Deposit: £10. First deposit matched up to £30. 1 x wagering at odds of 1.75+ to unlock Free Bet. Credit Card, Debit Card & PayPal deposits only. Full terms apply. 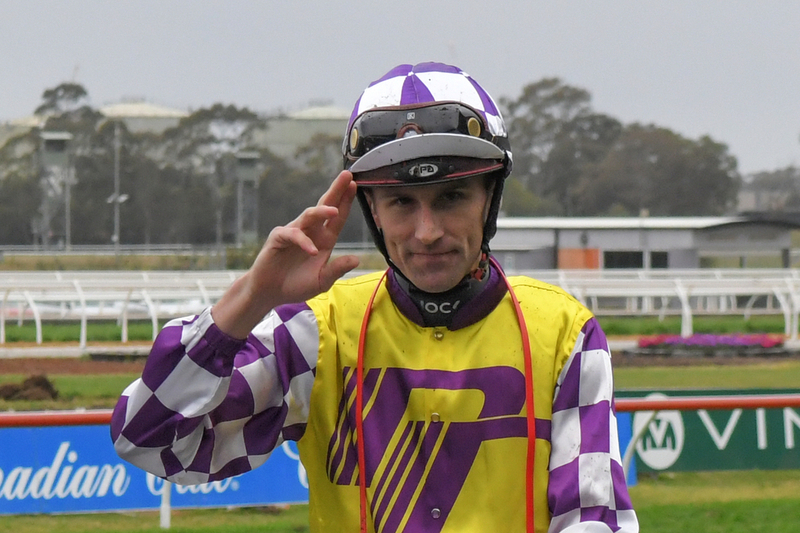 Australian jockey Tye Angland has suffered an horrific fall at Sha Tin racecourse in Hong Kong and could be left paralysed in all four of his limbs after picking up a serious spinal injury in the dreadful accident in Asia. The 29 year old from down under was sent head first towards the floor when the horse Go Beauty Go who he was on board in the one mile handicap contest on November 25th, stumbled at the start of the race. The initial injuries for the jockey were horrendous with a predicted fracturing and dislocating of his spine and an added injury on his spinal cord. Angland spent two weeks in an intensive care facility in Hong Kong and from there as then flown to Sydney to have on going treatments. To this day the Australian born rider is still in the Royal North Shore Hospital in Sydney. A statement was released on Thursday by the Australian Jockeys Association and they confirmed that the 29 year old was constantly being monitored but may never again have the full use of his legs. (Credit Racing Post) The statement read: "As a result of the fall, Tye had a fracture and dislocation of the spine as well as a spinal cord injury. The spine has been stabilised and realigned. "Tye's doctors advise the long-term prognosis for injuries of this nature are always hard to diagnose in the early stages. However, there remains a likelihood of Tye's outcome being quadriplegic." The statement added: "His wife Erin, and the couple's three children Alexis, Addison and Rylan have been overwhelmed by the support they have received and wish to say thank you to everyone who has reached out to them. "The family has requested their privacy as they deal with this very difficult situation." The rider was only racing at Sha Tin as a one off occasion to assist the Hong Kong jockey club due to the amount of jockey injuries and suspensions currently in the sport at the moment. This was not his first time riding in Hong Kong however as he spent four years from 2010 to 2014 there. Angland who is known for how closely he works with one of Australia's leading trainers Chris Waller, trainer of Winx, went on to ride 43 winners across 2018 and during his career has gone on to win 11 Group 1s. £10+. Odds 1.50 (1/2)+. 13 days expiry. Opt-in. Bet types/free bet restrictions apply. Limited availability. Full T&Cs apply. 18+. New customers only. 🚀 Bet £5 Get £20 in Free Bets! New Customer Offer 18+. T&Cs Apply. Free bets non withdraw-able. Single & E/W bets only. Free bet stake not included in returns. 30 day free bet expiry. gambleaware.org. Up to £100 in Bet Credits for new customers at bet365. Min deposit £5 and 1x settled bet requirement to release Bet Credits.Min odds, bet and payment method exclusions apply. Returns exclude Bet Credits Stake. Time Limits and T&Cs apply. New customers only, limited to one per person. If you’ve previously had a Paddy Power account, you will not qualify for the offer. Place your FIRST bet on any Sportsbook market and if it loses we will refund your stake in CASH. Max refund for this offer is £20. Only deposits made using Cards or Paypal will qualify for this promotion. T&Cs apply. Paddy's Rewards Club: Get a £10 free bet when you place 5x bets of £10+. T&Cs apply. New customers only, place a min €/£10 bet on any Sportsbook market at odds of at least 1.2 (1/5) and we’ll give you €/£30 in free bets. Only deposits made using Cards or Paypal will qualify for this promotion. See below for full T&C's. New customers only. 18+, BeGambleAware.org. Minimum deposit £10. You must wager your bonus money 3x to make it withdrawable at minimum odds of 1.40 (2/5) in Sportsbook, 25x for Casino. Bonus will expire after 7 days of opt-in. 18+, welcome bonus: New players only, first deposit, Min Deposit: £10, max £10 free bet valid for 14 days, bets must be placed at 1/1 or greater and be settled within 14 days of placement. System bets not eligible. Click to see full T&Cs. Get up to £50 in Free Bets! *18+. UK/Irish customers only. Cash stakes only. Min €10 stake required for initial £10 free bet. Min odds ½. Max €50 in free bets. One free bet per day. Subsequent free bets credited day after placement. Qualifying bet must be first bet placed within 30 days of opening account on a Sportsbook market. Free/Void or Cash out bets won’t qualify. Free bet expires after 7 days. Payment method restrictions apply. T&Cs apply. New UK & NI customers only. 18+. Sign up using promo code ‘SPORTS60’. Deposit & place first sports bet at a minimum of £10 in one bet transaction at evens (2.0) +. £30 paid in free bets within 48 hours of bet settlement, expires 7-days after issue. E-Wallet & Prepaid Card restrictions apply. Your first bet must be settled within 60 days of bet placement. SMS validation may be required. Game restrictions apply. Maximum 30 Free Spins on selected games. Free Spins expire after 7 days. Full T&Cs apply. Bet £10 & get a £10 Welcome Bonus! Facilitating the UK's largest online betting community, we provide our own tips on popular betting markets as well as offering the latest bets and offers. The Winners Enclosure is owned and operated by Checkd Media. Contact [email protected] for more information. © 2012 - 2019 Copyright The Winners Enclosure. All Rights reserved.